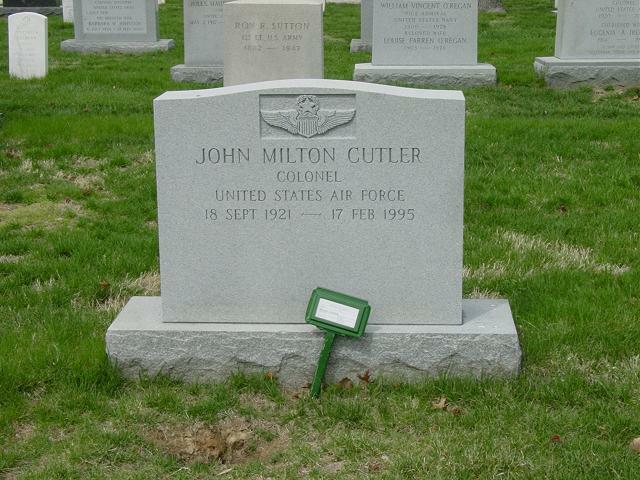 John Milton Cutler was an adventurer, par excellence! He served gallantly in three wars, ably in international diplomacy, and he loved the good life! This tall, handsome, and good-natured Georgian opted for adventure at the tender age of 16 while visiting his boyhood friend, Edward Burdett. Fascinated with Edward’s tales of life in Argentina, Belgium, and New Zealand with his diplomat father, Jack decided to join him in going to West Point. Upon entering West Point at the age of 17, Jack had already excelled as a high school ROTC cadet captain and completed a year at Mercer University. At West Point, he managed to complete reading the “hundred best books” by doing more reading than studying of assigned lessons. He also joined the chess team and became a half-miler on the West Point track team. In his final year, he was sent south to earn aviation wings. Taking glorious rides in the sky with loops, spins, and other aerobatic maneuvers, he was well on his way to great adventure! thousands of Allied ships in the English Channel. In the course of earning the Distinguished Flying Cross, 11 Air Medals, and 6 battle stars; Jack lost an engine leading 16 aircraft to target, made a successful emergency landing out of fuel, and managed to walk away from a crash landing. After the war, Jack lived on a yacht in Washington and studied Japan at Yale. Marrying his teenage sweetheart Helen Crump, he took her to live in quaint, artistic Carmel, California, while he learned Japanese nearby. They then went to Japan to live and study the land and its people. Jack was the first American to visit the people on a remote Japanese island. He also spent three weeks as an interpreter aboard a U.S. destroyer. In 1948, Jack and two fellow officers were directed to interview Japanese soldiers returning from three years imprisonment in Siberia. Going offshore to board a ship full of returning soldiers, the officers found the Russians had brainwashed the returnees against Americans. Hearing singing out on deck, they discovered that two thousand mutinous returnees had seized the ship and were singing the Communist “International.” Fearful of being trapped and held hostage, Jack and his colleagues decided to jump overboard. Forming a flying wedge, they rammed their way through the singing soldiers on deck and dove into the sea. In late 1949, Jack went to Korea to gather intelligence. After meeting with President Syngman Rhee and his military officers and visiting the 38th Parallel, he returned to Japan with the general conclusion that North Korea was likely to invade the South. When the North Koreans did attack a few months later, after he had moved back to Washington, Jack became closely involved in Air Force intelligence on the Korean War. Jack spent four months in the summer of 1952 studying the Middle East at the American University of Beirut and visiting various countries. The Air Force then assigned Jack to the Near East Arms Control Board in Washington. After a brief tour in romantic Salzburg, Austria, Jack served two years in Paris as senior aide to General Alfred Gruenther, the Supreme Commander of NATO. There he met President Truman, Queen Elizabeth, King Saud, Field Marshall Montgomery, and other prominent personalities. Jack returned to Washington for three years in the complex and highly politicized world of National Intelligence Estimates concerning principal foreign policy issues. Subsequently, Jack became a “Distinguished Graduate” of the Air War College in Montgomery, Alabama, and was retained on its faculty for three years, during which he earned an MA from George Washington University. Jack went next to Saigon where he set up and directed the operations center for General Westmoreland. On his return to the United States, he became Chief of the Far East Office of the Defense Intelligence Agency. From 1968 to 1972, Jack served as air attaché at the American Embassy in London under Ambassadors Bruce and Annenberg and worked closely with the Royal Air Force, the British aviation industry, and senior NATO officers. Jack and Helen were presented to the Queen at Buckingham Castle. Jack played squash, won prestigious golf tournaments at Sunningdale Golf Club, and became a Chevalier du Tastevin. After retiring in 1972, Jack directed a study project on international technological collaboration for the Hawker-Siddeley Group. In the early 1970s, Jack and a few British and American associates formed B-C International to represent Arab clients in the Middle East and connect them with U.S. and British firms. Jack took up writing about his life and family, wrote a book on stamp collecting, and dabbled with crafting two novels while Helen collected antiques. In their later years, the Cutlers lived half each year in Florida and half in London, a happy combination. The Cutlers have three children: John, an attorney, and his wife, Mary Lou, a doctor in Washington, DC; Callaway, who lives in New Orleans with her husband, Nick Dietzen, president of Gulf Wire; and David, working for Brunschwig et Fils in Washington, DC. There are four grandchildren: Nicholas and Kate Dietzen and John and Peter Cutler. Jack was blessed by two fine careers, and, most importantly, by a wonderful wife and a loving family. Farewell, good friend. We are so pleased you will rest in Arlington Cemetery near your close friend and fellow West Point roommate, Edward Burdett. We shall always remember your wonderful zest for adventure!